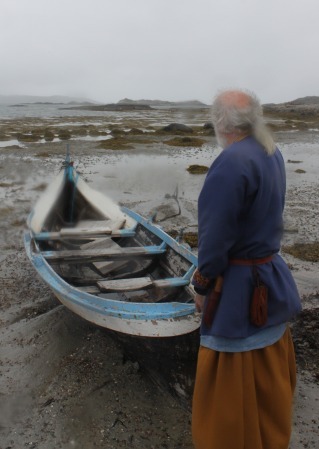 As a young man Jan Tranås (62) set two goals in life: One was crossing the Baltic Sea in a Viking ship following the old trade routes along the Russian river systems to Istanbul. 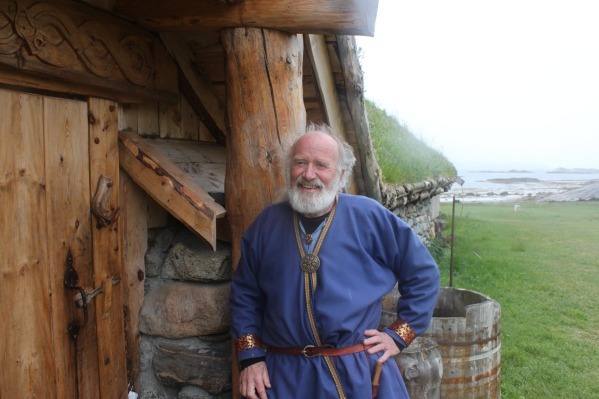 The second was to build a complete Iron Age farm at the historic site next to his home on the west side of the island of Jøa in Nord-Trøndelag. 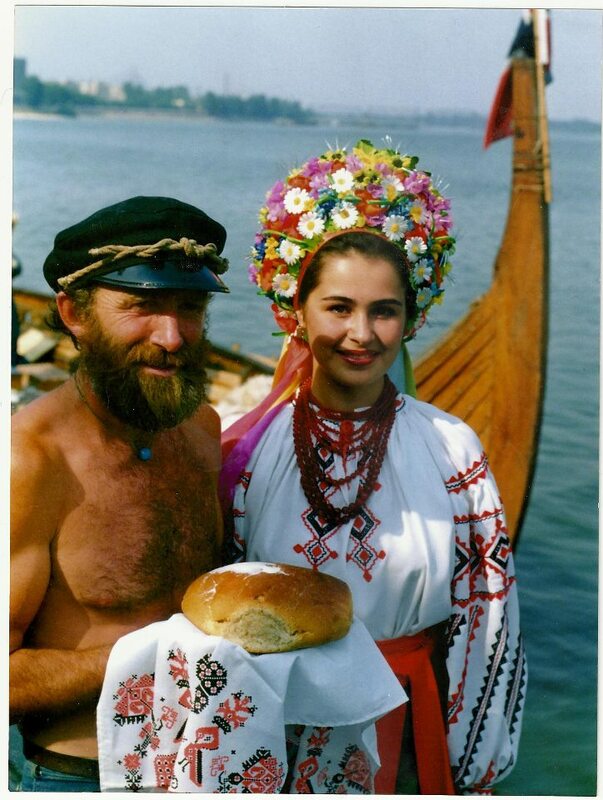 The first goal was reached in August 1992: After having sailed down to the end of the Dnieper River and crossed the Black Sea, Viking ship ‘Havørn’ (English: Sea Eagle) arrived ‘Miklagard’, the Viking name for Istanbul. After years of research, thousands of man hours and a lot of trial and error, the second goal is about to be reached: A 30-meter longhouse from the period 400-500 AD was completed in 2012 and now only an authentic weaving house and forge remains to fulfill the second goal. – I am probably very stubborn, Jan Tranås admits, who is colloquially known as ‘Iron-Jan’. Locals look at the steadfast builder with both admiration and wonder. 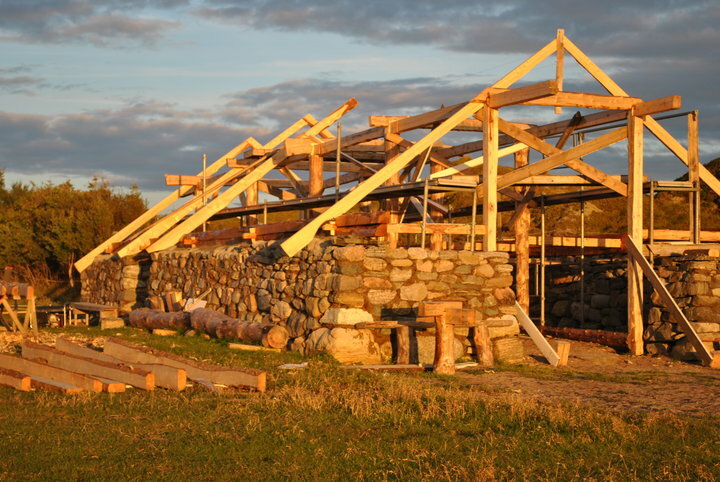 The former agronomist tells that he was taking early retirement to follow his dream of building the Iron Age farm, and that he has spent substantial capital to realize the project. – Thanks to tremendous effort and the fact that we never gave up, we stayed within the budget of two million Norwegian kroner (About 323,000 dollars), including half a million in support from Innovation Norway, he says. The remains of the original longhouse at Tranås is probably a pole building from the period 500-700 AD, but people have lived on Jøa as far back as the Stone Age. The fjord which led out to the Norwegian Sea gave abundant supply of fish and was also an important traffic artery. The original longhouse was 55 meters long and eight meters wide, one of the longest found in Norway. The construction project started in 2004, and Jan Tranås says that he had as objective that the project should be completed within ten years. In the work he got good help and support from the Dutch furniture maker Jan Witaar who had to teach himself wooden crafts from the Iron Age. 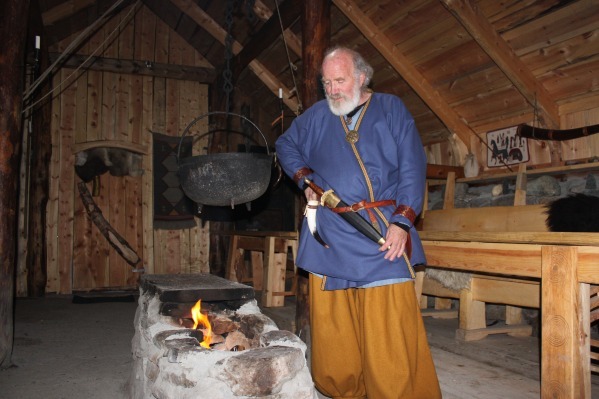 The cooperation between ‘Iron-Jan’ and ‘Wood-Jan’, as they are called, resulted in what is the only privately-built longhouse from the Iron Age. – We were planning for one hour, and then we worked for one, says Jan. 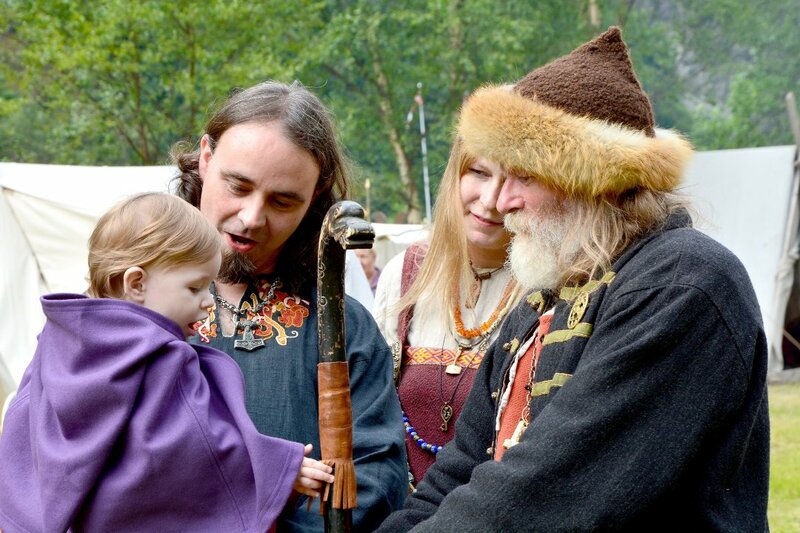 They did not follow any exact template, because it does not exist, and based the building method on several trips to study ancient Scandinavian building traditions, advice from historians and their own experiences along the way. All materials are produced locally to save costs and reduce transportation. There are used five types of wood and laid 45 square meters of stone in an almost insoluble puzzle. The so-called ‘trestle-frame’ construction method is used for building the longhouse, the oldest method known to man. It was predicted much hardship and Jan Tranås says he was close to giving up, but that it was so important to him to preserve and disseminate the cultural landscape that he went on to the longhouse was completed. – That is the main driving force – to disseminate the real Iron Age environment. Visitors say they find inner peace, enters a special mode, and that is what I want them to achieve. The master tells that he receives visits from school groups and companies that hire the longhouse for various events, and that he can serve two variants of self-caught Iron Age food. – One with fish and one with meat. I cannot guarantee that it is tasty, but it tastes authentic, says ‘Iron-Jan’ with a smile. Editor’s Note: This article was published in week 32, 2014 in Vi Menn (English: Us Men), Scandinavia and Norway’s largest weekly lifestyle magazine for men. I agree with DD Sydral, I want to go live there. What an awesome experience. I could so live there. ( as long as there were nuts and veges as I don’t eat meat) What a great dream this man has had AND he followed it.